Nearly 40 million Americans, that's 25% of the total population, suffer with asthma and other allergies.Although the traditional methods for controlling asthma and allergies are numerous, sickness and death from asthma appear to be increasing. 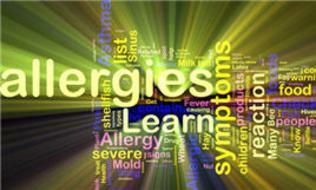 Nearly 40 million Americans, that's 25% of the total population, suffer with asthma and other allergies. Although the traditional methods for controlling asthma and allergies are numerous, sickness and death from asthma appear to be increasing. Every day, assembly line workers, keyboard operators, grocery store clerks, and others, receive micro-traumas to their hands and wrists. Vibration and repetitive motions, when spinal problems and other joint dysfunction, can result in a condition known as carpal tunnel syndrome. 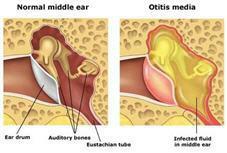 Infection of the middle ear, or acute otitis media, is a common symptom in childhood. In fact, it is the most common cause of fever in the early years of life. This condition may be very painful, and after several recurring infections, may result in permanent damage. What can you do to help your child? Children’s headaches (e.g., migraine) exhibit no gender variation before puberty. In late adolescence, however, twice as many females report recurrent headaches. When children has a recurrent headache, certain causes are more likely than others. As a parent you have a choice. Pain medication may alleviate some of the discomfort but they only cover the symptom and do nothing to address the underlying cause of the headache. It is estimated that as many as 5 million children in the United States alone are afflicted with attention deficit disorders in varying degrees. Symptoms often cluster with hyperactivity to include lack of concentration, short attention span, impulsivity, fidgetiness, low frustration tolerance, difficulty with compliance, and poor social interaction. In one of the studies, conducted by Irvin Hendryson, M.D., a member of the American Medical Association board of trustees, it was shown that women who received chiropractic adjustments in their third trimester of pregnancy were able to carry and deliver children with more comfort. Sciatic pain is caused when the sciatic nerve roots are irritated, scraped, twisted, stretched or pinched as they exit the spine. 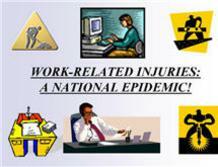 Causes of the impairment may be chemical, physical or the emotional stress of everyday living. Scoliosis is a sideways curving of the spine that often gets started in childhood, when the bones of the spine are still growing. 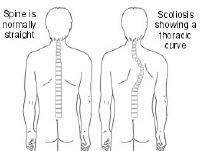 In many cases, scoliosis is detected by uneven shoulder heights, a loss of structural balance, or a change in posture. It is thought that scoliosis is the result of a hereditary problem or an adaptation to some type of trauma, such as the birth process, or an injury, such as falling off a bike. It usually starts with problems in the lower back. A growing number of parents, concerned citizens and doctors are questioning a medical practice that for a long time has been taken for granted and gone largely unchallenged. Although the medical community admits there are some minor risks associated with the use of vaccines, such as fever and soreness, only recently have far more dangerous side effects and consequences been discussed on such a wide scale within both grassroots organizations as well as medical studies and books. 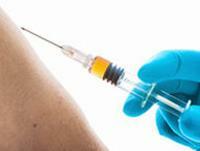 WHY QUESTION THE USE OF VACCINES? 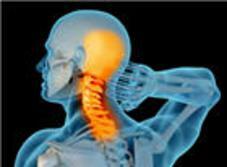 Subluxation is a disease occurring worldwide in epidemic proportions. It is a bodily malfunction or condition, just as diabetes and heart trouble, for example, are conditions. 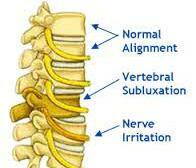 The difference lies in the fact that subluxation often causes other conditions to occur. Study after study reveals that chiropractic gets injured workers out of pain and back on the job faster, with greater patient satisfaction, and at less cost without drugs or surgery. A review of 96,627 workers' compensation cases for musculoskeletal injuries revealed that the average cost of treatment, hospitalization and compensation payments was higher for patients who saw medical doctors than for those who saw chiropractic doctors. Especially significant was that chiropractic patients lost less days from work than the medical patients. It must be emphasized that chiropractic is not against necessary medical care. In emergencies all must be done to save life and limb.